Throwback Thursday! 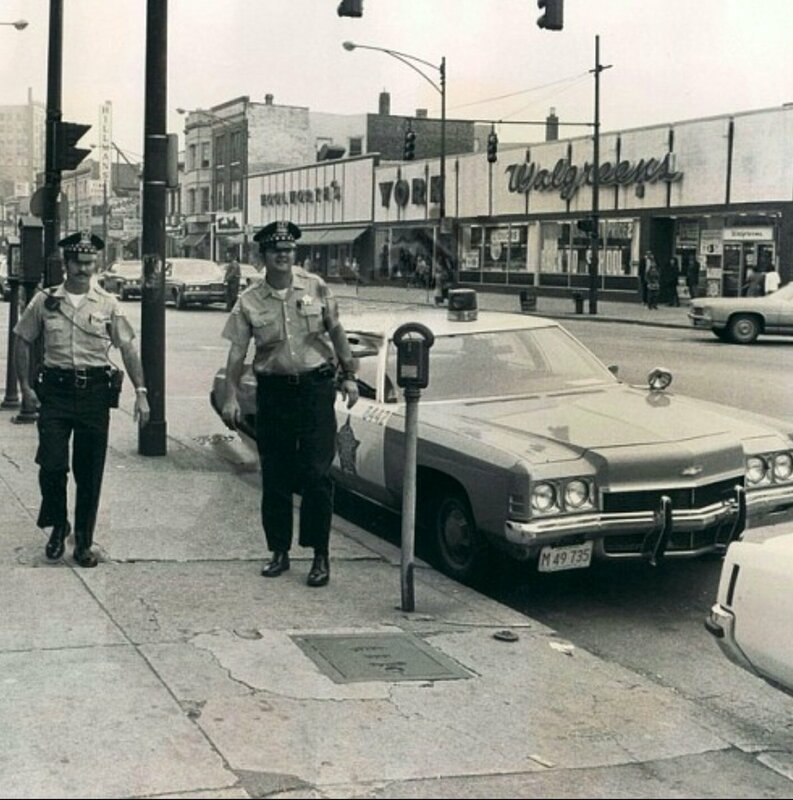 The 19th District CAPS office tweeted this picture out a few weeks ago, saying, "The old squad car with the gumball light on top sure dates this one." It was taken in front of the McJunkin Building, and you can see the one-story retail buildings kitty corner from it had already been built by then. What is now City Sports was Walgreens; Rainbow Shops was York; Family Dollar was Woolworth's; MDT Architects was Thom McAn Shoes; and Elim Wigs was Hillman's grocery store. This back when police officers use to walk.